Attractene Transfection Reagent represents the next generation in lipid technology, ensuring highly efficient DNA transfection of eukaryotic cells. Attractene Reagent is a nonliposomal lipid that enables transfection of all adherent cells, including difficult-to-transfect cell types such as HaCaT, MonoMac6, and HCT116, and some suspension cell types (Jurkat, K562). 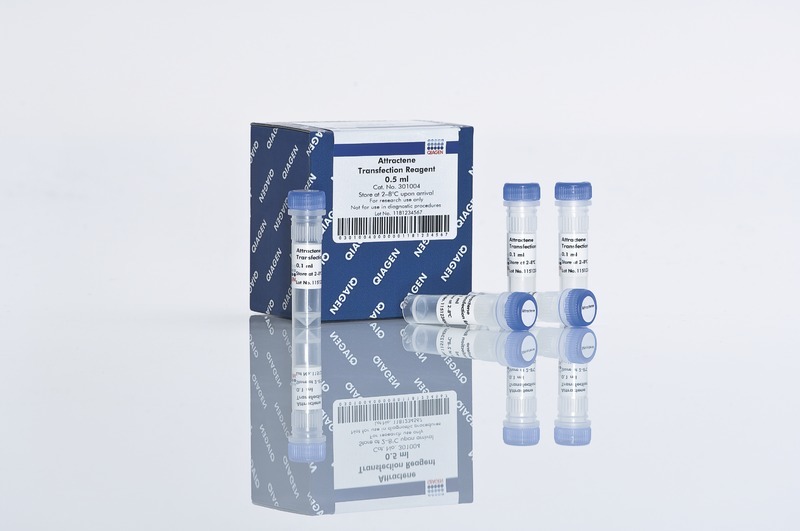 It is also highly suitable for cotransfection of DNA with siRNA or miRNA mimics or inhibitors.